Lillebror and his family live in Vasastan. So does Miss Bock who looks after him, and up on the roof in a small yellow house that’s where Karlsson on the roof lives. If you want and dare you can climb up and see how he lives. And if you are really brave and want to find out what it feels like to fly like Karlsson on the roof you can go down the slide all the way to the street again. 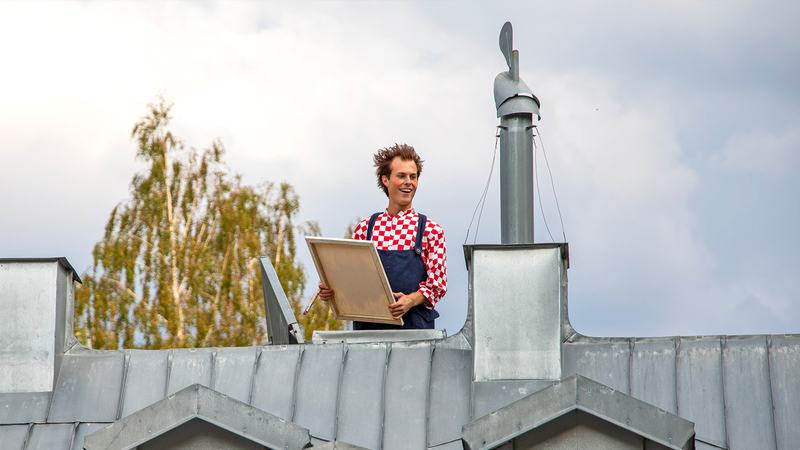 At Karlsson on the roof you can see theatre performances from the start of the season, and between the performances you can meet them all, and tirritate, cogitate and calculate with Karlsson and Lillebror in the kitchen in Vasastan.